I was going to upgrade existing weapons but I keep drawing higher level weapons. Kind of defeats the purpose of upgrading. Any thoughts? That's how it is for a period of time. Until my players reached around level 15-17, I hardly upgraded their gear (except for a few select legendary weapons). When progression slows down at the high levels, there will be "time" to upgrade weapons and armor. I'm getting nothing but level 19 tan/gray/green gear. Consider yourself lucky. Me too! All I'm getting is 1 or 2 star crap! Never seen such bad gear. Guess another way we're getting punished. It's not a total waste to upgrade what you already have. 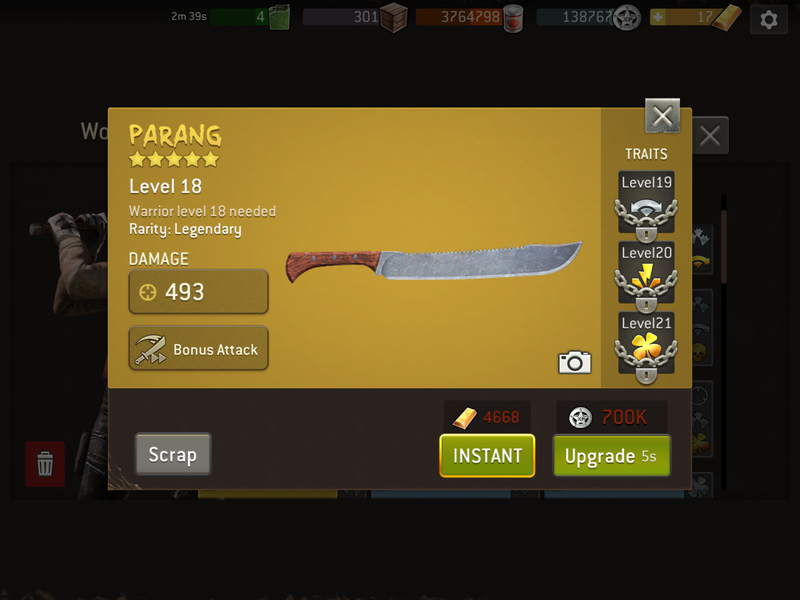 In the short-term, it increases weapon ability (dmg/traits), and when you outgrow it, the scrap value is higher in xp compared to scrapping non-upgraded same gear, which may then give you a quick jump in XP to upgrade later stuff. It does feel like a punishment lol, but its just a game and it not the only one in town I'm getting to the point that I open NML out of habit but look elsewhere for more. @DarkFae it wasn't long ago you posted one legendary weapon after another in that other thread saying you couldn't believe your luck -- it just comes and goes, I think. Yes I did while others posted base level 20 piece after piece which I don't begrudge them. The level of crap gear just looks very disproportionate atm. 1st I had to wait longer because other people were upset about getting gold base level 20 pieces. Next I had to wait longer because I had to wait until I reached a certain player level. Can't help but feel disappointed and wonder what the next hurdle is going to be and I'm entitled to my feelings. in general only upgrade your most used weapons, make sure the sword has the wide arc, the SMG has the wide spray, the rifle wide damage etc. 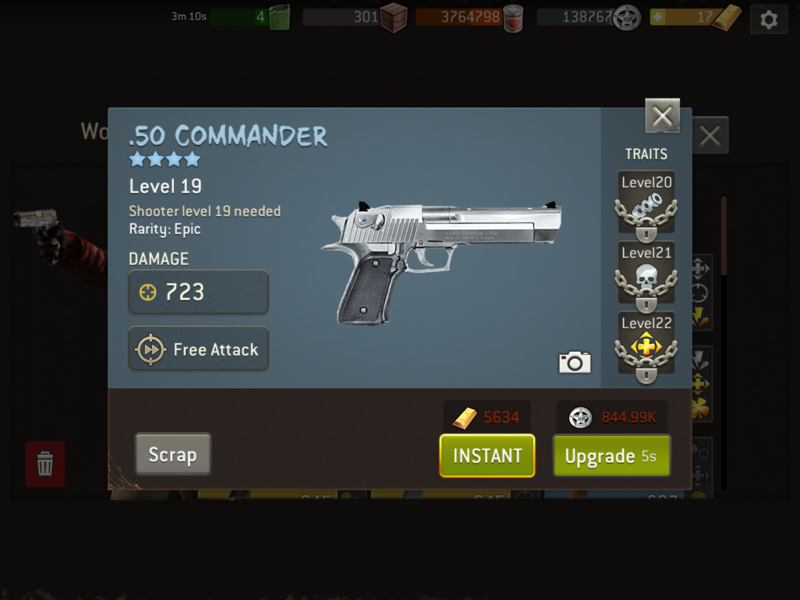 For lower levels your survivors will outgrow the weapons fairly quickly, after a while they stay relevant longer so more worth the upgrades if that makes sense. For the survivor classes I rarely use I don't upgrade anything. 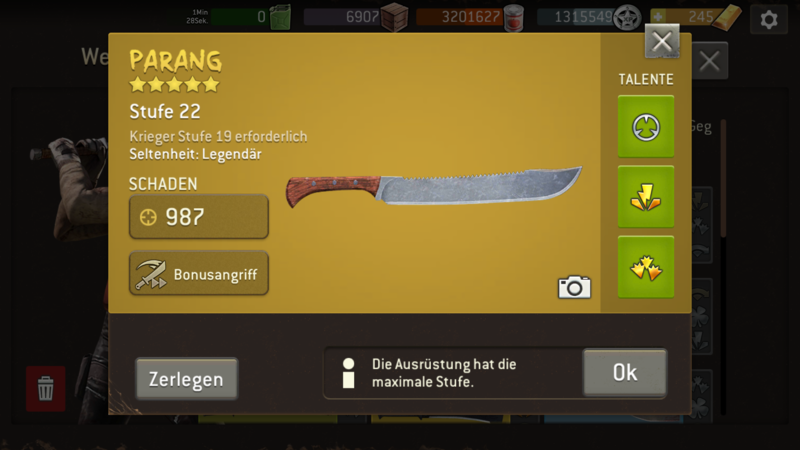 If I have XP piling up and no survivor or weapon to upgrade, only then will I upgrade the armor if thats what we call it. People seem to like luck and dodge for those. 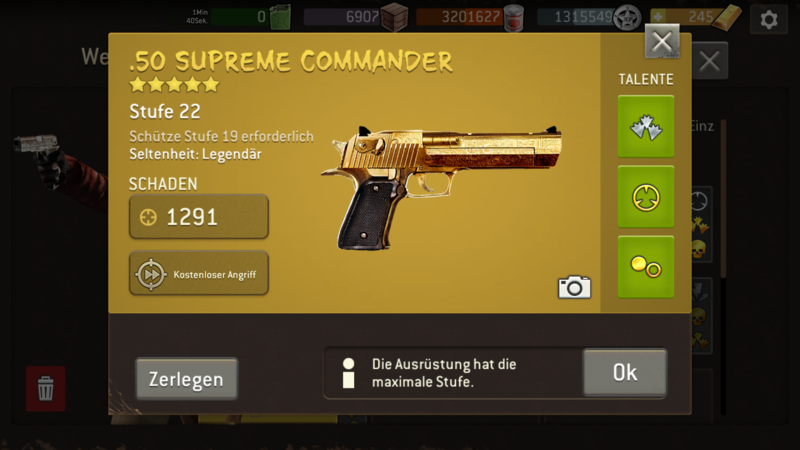 Try to only upgrade epic and legendary gear, they will have higher stats and be useful for longer. 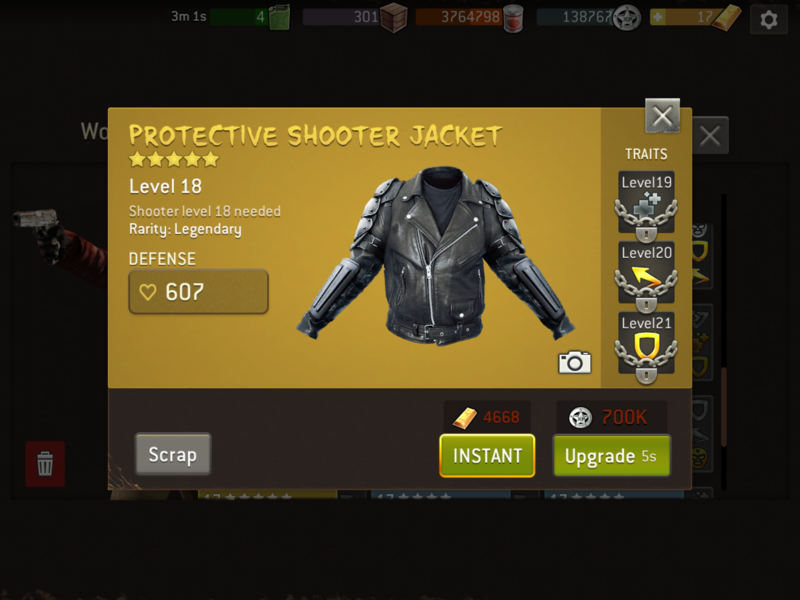 If you're playing a lot and upgrading your level and survivors quickly then just hold off upgrading gear until you have nothing else to do with the XP. If you outgrow some leveled up gear, you can let your lower level survivors use it. For example, I had a level 13 epic hunter I kept around because he had good traits and there was an ok leveled up rifle he could use, so even though I mostly used my level 17 hunter the level 13 guy was good for the challenges. Now that we can upgrade the survivor levels now he's going to be level 17 in a few hours he'll get my best gear and I'll let some new recruit use his old gear. I got a few nice ones this weekend. My new .50. and Parang. 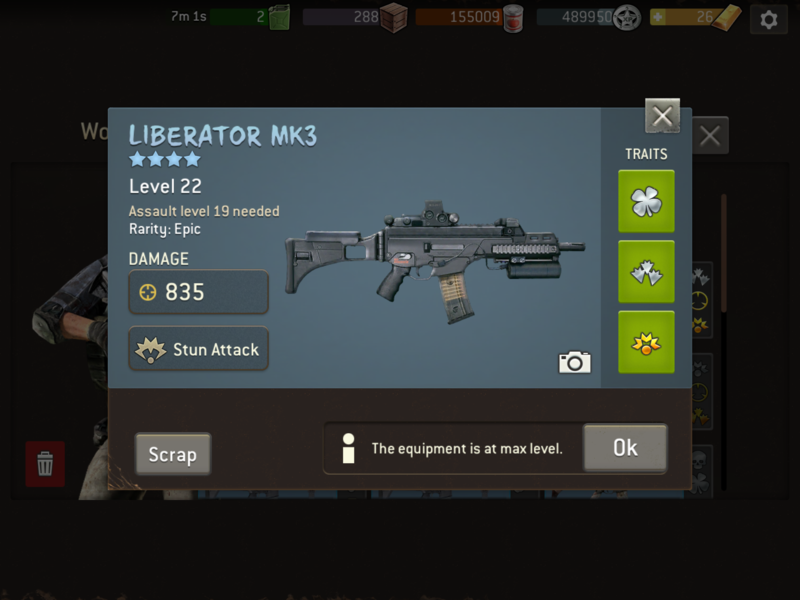 Every 4 or 5 survivor levels I halt survivor progress to update their weapons just to get a good collection of traits going. Right now I am pushing from 15 to 19 then it will be all about the gear.